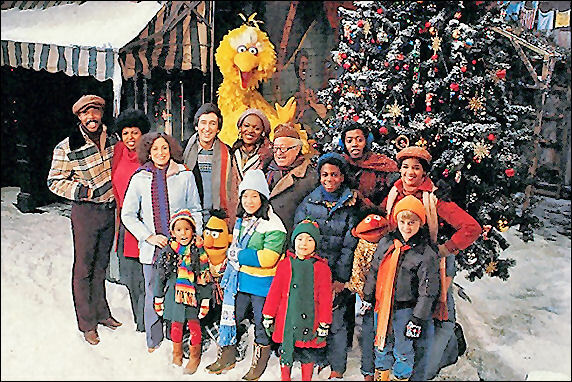 from 1978's Christmas Eve on Sesame Street. Well, for me I think it has to be the 1960s. I really enjoy the variety specials from the era, such as The Bell Telephone Hour - their live Christmas specials were wonderful. The many great animated specials, from Charlie Brown to The Grinch to Rudolph and Frosty, and you could still see The Nutcracker and NBC's Project 20 special "The Coming of Christ" (narrated by Alexander Scourby!) on network television. The medium hadn't yet started to limit itself, and it was really starting to show what it was capable of. 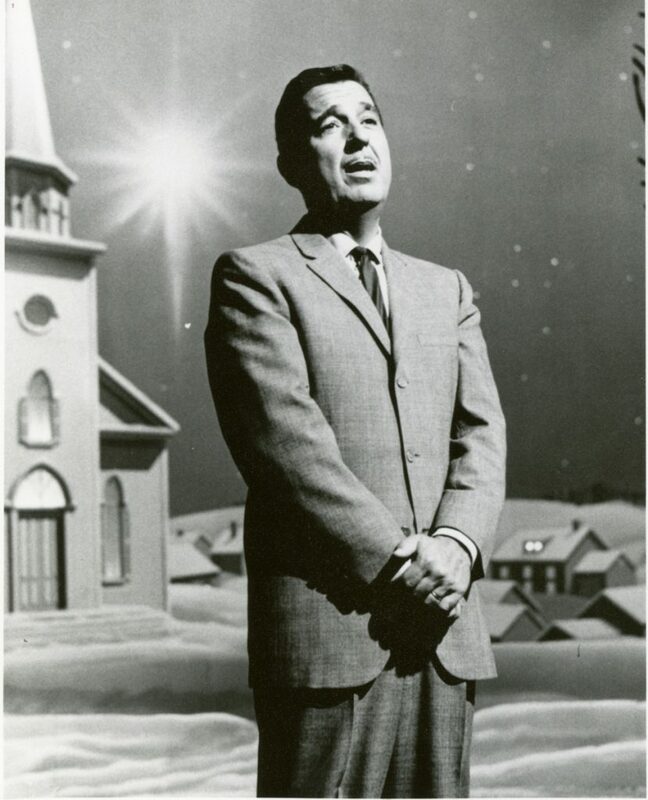 from the 1957 episode "Happy Holidays with Frank and Bing" from The Frank Sinatra Show. Ooh, good one! Well, the appetizer is "Happy Holidays with Frank and Bing" (Sinatra and Crosby) - it's the first Christmas show we watch every year, so it has to be first. For the entree, why not one of Andy Williams' Christmas shows? Nobody, not even Bing, could do them quite like Andy. There's a warmth and humanity that's hard to find today. For dessert? I've mentioned Amahl and the Night Visitors before, but I'll have to go with that because it's often the last program we watch before heading for Midnight Mass. This may sound strange, but I dearly wish Ingmar Bergman had taken a crack at A Christmas Carol. Can you imagine the Ghosts being performed in the same manner as Death in The Seventh Seal? We forget sometimes that at heart, Carol is a ghost story, and while so many productions labor to get the atmosphere of Victorian London right, it's easy to overlook how dark this story is at its center. Bergman could cut past the sentimentality and get to the existential heart of the matter: the meaning of life. 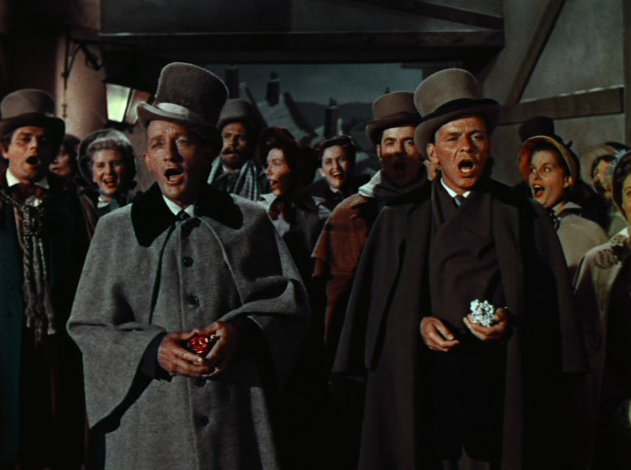 It's not only Scrooge's story, it's the essence of mankind. An interesting question, because we're not necessarily talking about the same thing as one's favorite Christmas special. In this case, though, it happens to be one of my favorite shows: Tennessee Ernie Ford's "The Story of Christmas," first telecast by NBC in 1963 without commercial interruption. Some wonderful music from Ernie and the Roger Wagner Chorale, and a magnificent eighteen-and-a-half minute animated telling of The Nativity, by Eyvind Earle. If someone was to open this time capsule in a thousand years and ask what Christmas was all about (and that may well be the case by then), this special tells them, from the festive to the sacred. As the title says, anyone who sees it would find out what the story of Christmas really is. Great stuff, Mitchell! Tennessee Ernie Ford's The Story of Christmas is wondrous and an excellent time capsule choice. Aside from Eyvind Earle's Nativity and all the other elements, Ernie singing Christmas songs (and his speaking/narrating voice and his warm, genuine personality) is a big part of the holiday for me. And so glad (but not surprised) you included Amahl and the Night Visitors as your Christmas Eve dessert.